Give your nacho chips or baked potatoes an extra kick with the ultimate nacho cheese machine rental. Using high grade plastic and featuring single touch button access, the bagged cheese is dispensed cleanly and evenly with no spills or mess. Refills are easy to load, ensuring you never have to run out of cheesy goodness. 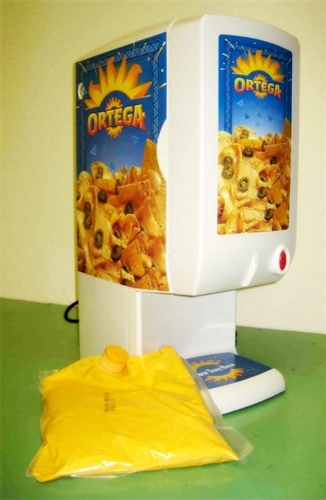 A nacho cheese machine that every diner, store, restaurant, or party can use. Our rental comes with 7 lbs of high-quality cheese and is the same dependable machine you find in convenience stores.